A petition requesting that the Scottish authorities undertake a comprehensive inquiry into Lockerbie is supported and signed by many people, including the the following world renowned personalities. All support the campaign for acquittal of Baset Al-Megrahi, who was in 2000 convicted for the murder of 270 people on Pan Am 103. Kate Adie was chief news correspondent for the BBC, covering several war zones on risky assignments. Currently hosts the BBC Radio 4 programme From Our Own Correspondent. Professor Noam Chomsky has spent most of his career at the Massachusetts Institute of Technology (MIT), where he is currently Professor Emeritus, and has authored over 100 books. In a 2005 poll was voted the "world's top public intellectual". 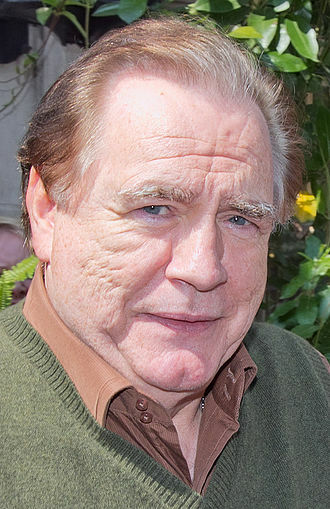 Brian Cox CBE. An Emmy Award-winning actor, whose outstanding career includes films such as Troy, The Bourne Supremacy, Braveheart, The Bourne Identity. Tam Dalyell, former Member of British Parliament and Father of the House. An eminent speaker who throughout his career refused to be prevented from speaking the truth to powerful administrations. Ms Christine Grahame, member of the Scottish Parliament. Determined advocate of the Lockerbie campaign and courageous supporter of Dr Jim Swire. Ian Hislop, editor of Private Eye Magazine. A man never afraid to speak truth to power, repeatedly mocking the hypocrisy prevalent in certain sections of British society. Father Pat Keegans, Lockerbie catholic parish priest. Was one of the first on the scene following the Lockerbie bombing and crash of Pan Am 103 in December 1988. A strong supporter of the need for an inquiry into the many disturbing aspects of the Lockerbie event and subsequent investigation and trial of two Libyan suspects. Mr Andrew Killgore, former US Ambassador to Qatar. Widely experienced in Middle Eastern politics. Knows first hand the political and intelligence background to the campaign to vilify and eventually destroy the Libyan regime. Runs the influential Washington Report on Middle Eastern Affairs and founded The American Educational Trust. John Pilger, former war correspondent, now a campaigning journalist and film maker. Wide experience in the brutality caused by war and uninformed foreign policies of the West and other nations. Sir Teddy Taylor MP, a British Conservative Party politician, was a Member of Parliament from 1964 to 1979. He was a leading member and Vice-President of the Conservative Monday Club. Desmond Tutu, former Anglican Archbishop of South Africa. A dedicated human rights activist. Received many awards including the 1984 Nobel Peace Prize. Mr Terry Waite. 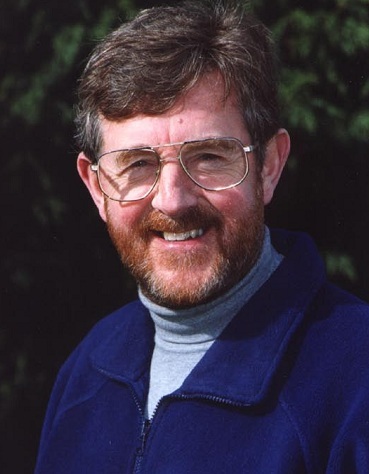 In the 1980s, as an envoy for the church of England, travelled to Lebanon to try to secure the release of four hostages, including the journalist John McCarthy. 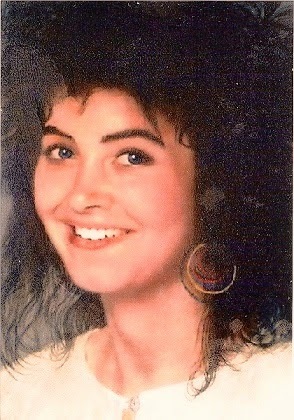 He was himself kidnapped and held captive from 1987 to 1991. President of Y Care International, patron of AbleChildAfrica and Habitat for Humanity Great Britain, president of Emmaus UK, a charity for formerly homeless people. Ms Kate Adie (Former Chief News Correspondent for BBC News). Mr John Ashton (Author of ‘Megrahi: You are my Jury’ and co-author of ‘Cover Up of Convenience’). Mr David Benson (Actor/author of the play ‘Lockerbie: Unfinished Business’). Mrs Jean Berkley (Mother of Alistair Berkley: victim of Pan Am 103). Mr Peter Biddulph (Lockerbie tragedy researcher). Mr Benedict Birnberg (Retired senior partner of Birnberg Peirce & Partners). Professor Robert Black QC (‘Architect’ of the Kamp van Zeist Trial). Mr Paul Bull (Close friend of Bill Cadman: killed on Pan Am 103). Professor Noam Chomsky (Human rights, social and political commentator). Brian Cox CBE (Distinguished Actor). Mr Tam Dalyell (UK MP: 1962-2005. Father of the House: 2001-2005). Mr Ian Ferguson (Co-author of ‘Cover Up of Convenience’). Dr David Fieldhouse (Police surgeon present at the Pan Am 103 crash site). Mr Robert Forrester (Secretary of Justice for Megrahi). Ms Christine Grahame MSP (Member of the Scottish Parliament). Mr Ian Hamilton QC (Advocate, author and former university rector). Mr Ian Hislop (Editor of ‘Private Eye’). Fr Pat Keegans (Lockerbie parish priest on 21st December 1988). Ms A L Kennedy (Author). Dr Morag Kerr (Secretary Depute of Justice for Megrahi). Mr Andrew Killgore (Former US Ambassador to Qatar). Mr Moses Kungu (Lockerbie councillor on the 21st of December 1988). Mr Adam Larson (Editor and proprietor of ‘The Lockerbie Divide’). Mr Aonghas MacNeacail (Poet and journalist). Mr Eddie McDaid (Lockerbie commentator). Mr Rik McHarg (Communications hub coordinator: Lockerbie crash sites). Mr Iain McKie (Retired Superintendent of Police). Mr Marcello Mega (Journalist covering the Lockerbie incident). Ms Heather Mills (Reporter for ‘Private Eye’). Rev’d John F Mosey (Father of Helga Mosey: victim of Pan Am 103). Mr Len Murray (Retired solicitor). Cardinal Keith O’Brien (Archbishop of St Andrews and Edinburgh and Cardinal in the Roman Catholic Church). Mr Denis Phipps (Aviation security expert). Mr John Pilger (Campaigning human rights journalist). Mr Steven Raeburn (Editor of ‘The Firm’). Dr Tessa Ransford OBE (Poetry Practitioner and Adviser). Mr Kenneth Roy (Editor of ‘The Scottish Review’). Dr David Stevenson (Retired medical specialist and Lockerbie commentator). Dr Jim Swire (Father of Flora Swire: victim of Pan Am 103). Sir Teddy Taylor (UK MP: 1964-2005. Former Shadow Secretary of State for Scotland). Archbishop Desmond Tutu (Nobel Peace Prize Winner). 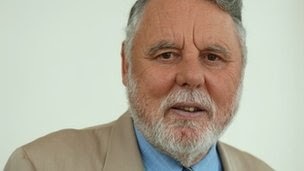 Mr Terry Waite CBE (Former envoy to the Archbishop of Canterbury and hostage negotiator).